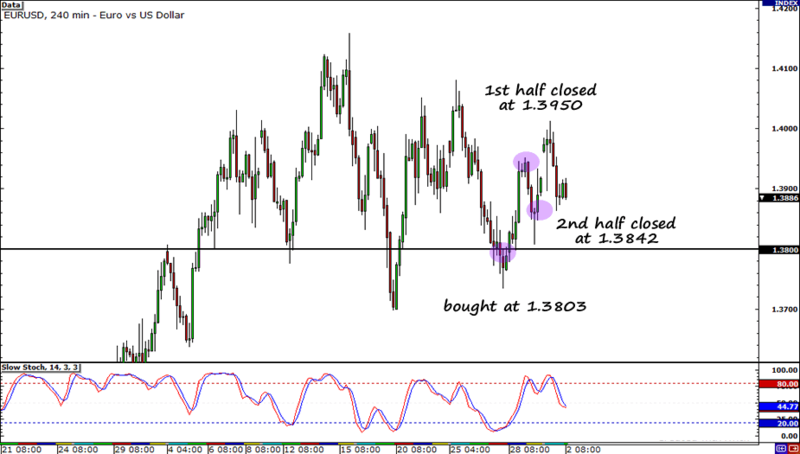 EUR/USD: Bouncing Off 1.3800??? – First PT Hit! Success! Thanks to my wide stop, my trade was able to handle all the volatility and hit my first profit target. After my first profit target was hit, it seemed like the bulls were running out of steam. When the pair started falling, I decided to close my remaining position. Fundamentally, I still do believe that the focus remains on the Fed’s second round of QE and that this move down we are seeing in EUR/USD is simply a massive retracement of the overall trend. Eventually, bulls will buy it back up and take it to new highs… hopefully! There’s also the poor results of the S&P Case-Shiller home price index. It showed that that house prices only increased 1% year-on-year, more than half the 2.1% reading initially expected. I think the weak housing market is a very strong indication that U.S. isn’t doing too hot! I am keeping an eye out for the upcoming durable goods orders and new home sales though. If they come in worse-than-expected, it could trigger risk aversion, which is bad for my trade. On the technical side of things, there seems to be a horizontal channel in EUR/USD’s 4-hour chart with support at the 1.3800 psychological stand. While I was looking at the chart I was soooo tempted to short when the red candle sported a long lower shadow. Good thing I decided to be a good girl and waited for the candle to close! 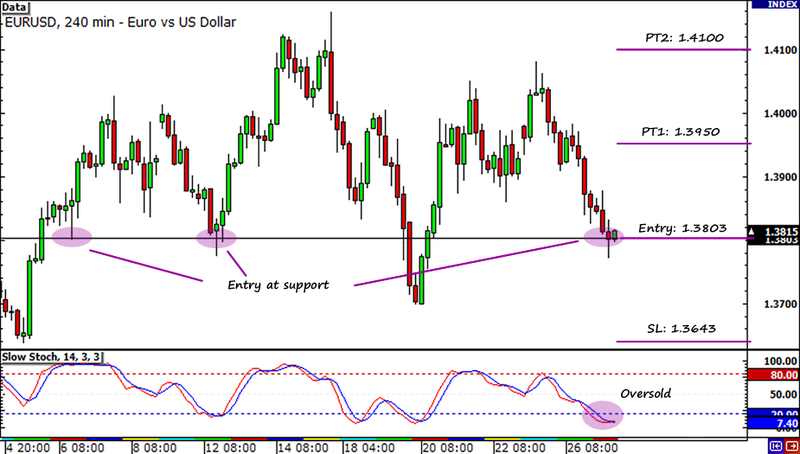 The support at my entry backed up the oversold region of Stochastic so I jumped in and shorted at market. I’m keeping my fingers crossed on this one! I set my first profit target at the middle of the range at 1.3950, while my second profit level is at the top of the channel at 1.4100. I plan on pulling the plug if the pair goes below the previous low at 1.3645. Long EUR/USD 1.3803, pt1 at 1.3950, pt2 at 1.4100, sl at 1.3645. I will risk 1% of my account on this trade. That’s it for today. You can also follow me on MeetPips.com!